Users of the Helion Development Platform, from Hewlett Packard Enterprise (HPE), can now package their own applications in Docker containers and run them as platform services. Users can even incorporate the development of these containers into automated continuous integration/continuous deployment (ci/cd) routines. “We can offer all the advantages of a PaaS, but with code you provide us,” said Omri Gazitt, HPE vice president of products and services for the Helion line. In conjunction with the Dockercon EU conference, taking place this week in Barcelona, HPE has announced the new version of its platform-as-a-service, the HPE Helion Development Platform 2.0. Based on Cloud Foundry, the Helion Development Platform (HDP) can now be used as a part of an approach to building and maintain microservices. HDP is the platform service sibling of HP Helion, which is the company’s infrastructure-as-a-service software, based on OpenStack. You might recall reading about how HPE is planning to discontinue its Helion-based public cloud service. The company still has, and will continue to maintain private cloud and managed cloud services on behalf of a considerable number of enterprise clients, using the Helion packages as the platform. The earlier version of HDP would package the code provided by developers within a Docker container, but it didn’t allow users to create their own Docker containers. With the update, a development team can package their own code in a Docker container, and pass it over to HDP to run as a service. For instance, Helion will provide a centralized location to view all the log files associated with deploying and running the containerized app. Helion offers the ability to easily spin up multiple instances of a container, through a set of slider controls on the dashboard. 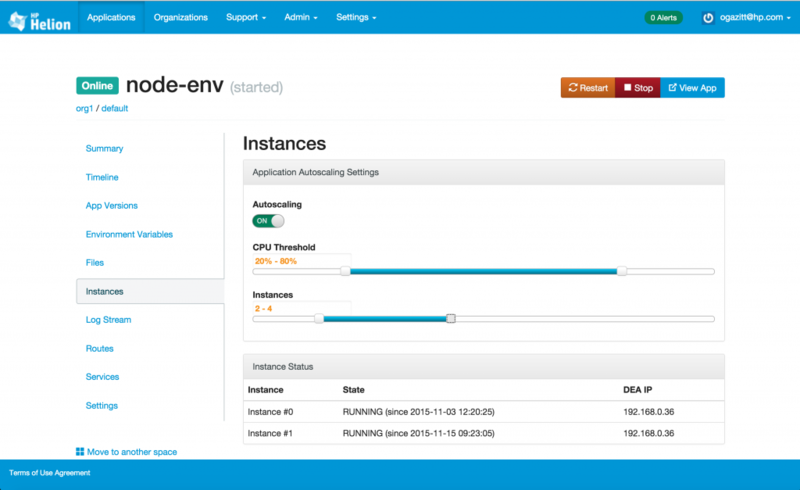 Users can even set Helion to autoscale up to some maximum set of instances. After the CPU hit some predetermined threshold of activity, Helion can then add in another, or even multiple instances, of that containerized app. Calling other Helion services, such as a MySQL Cluster, can be done simply by adding into code the appropriate environmental variable. The new Helion Code Engine, also included in the updated package, gives development teams the ability to set up their own automated ci/cd routines. 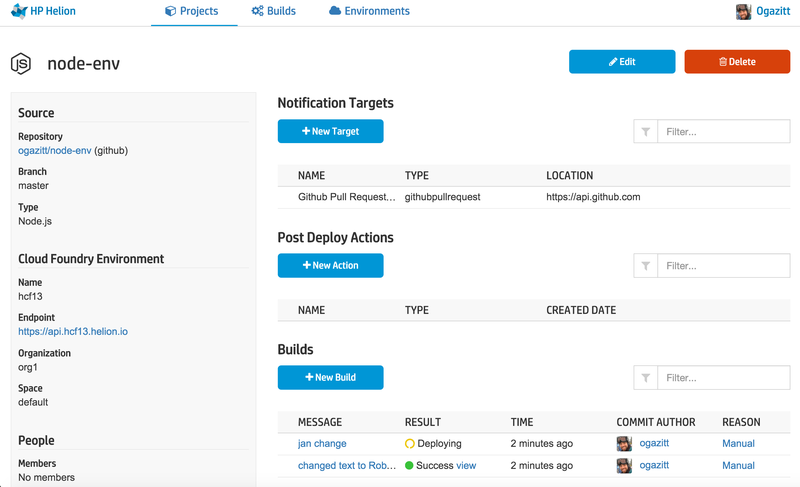 An automated deployment, for instance, could push code from the Git repository through the Docker Trusted Registry and to the Helion Development Platform. The engine will show all the GitHub repositories a user is participating in. Then the user can select a specific branch of a project and match it to an environment, which is a pipeline of unit tests and reviews that the code will pass through whenever it is updated. If it passes all the hurdles it can even be deployed automatically. “We set this up so a developer can go from check-in to immediate feedback very, very quickly,” Gazitt said. Docker and Hewlett Packard Enterprise are sponsors of The New Stack. 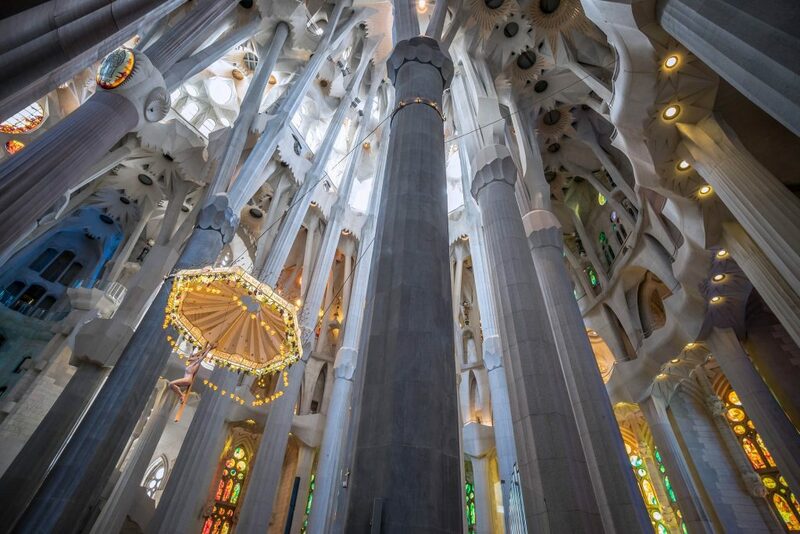 Feature Image: Gaudi’s Sagrada Familia, Barcelona, via Pixabay.